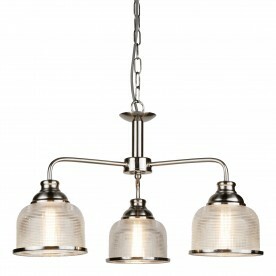 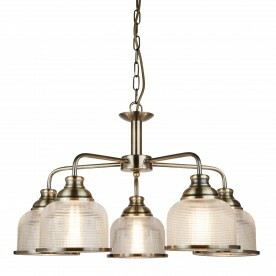 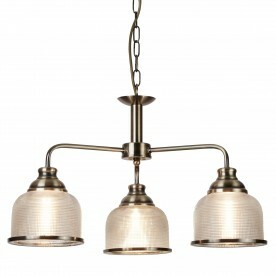 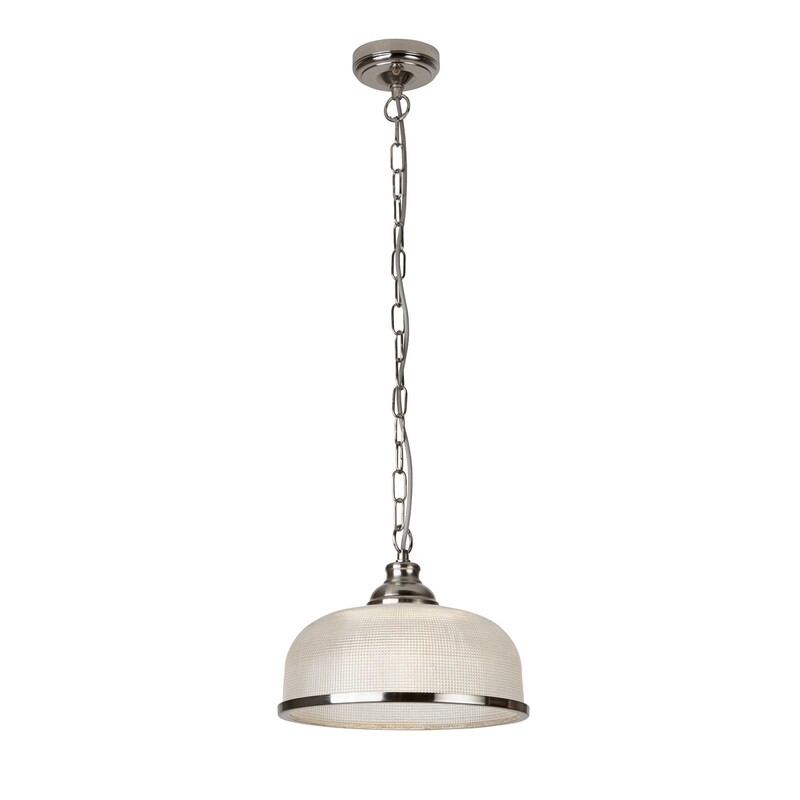 From the Bistro II collection, this pendant includes an attractive combination of satin silver and holophane glass. A sturdy chain sits on top of the textured ribbed effect glass shade which is complete with a satin silver trim. 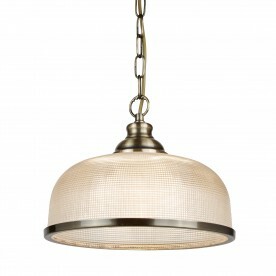 Light shines through the holophane glass and emits a warm subdued glow.